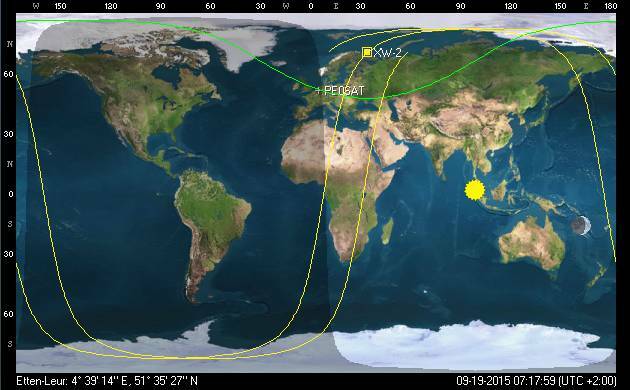 XW2-2 (CAS3) Satellites launched and active. 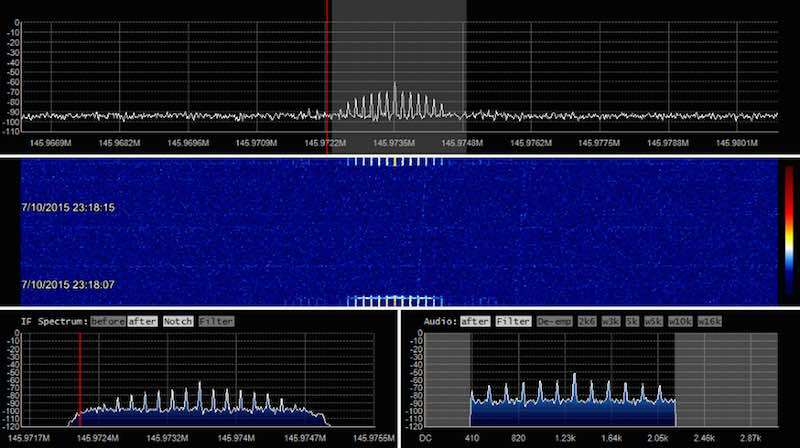 I was able to decode FSK signals after analyzing the recorded IQ data, real-time CW and heard some signals on the transponders. 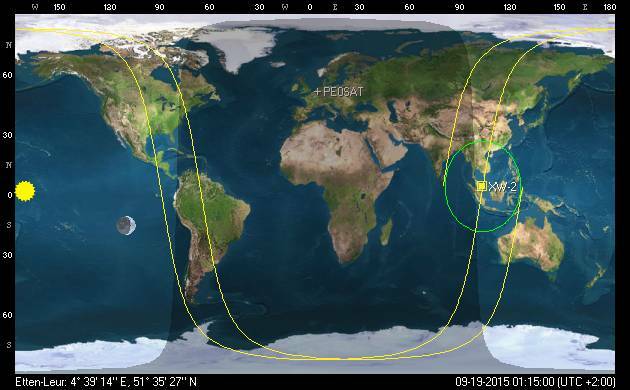 AMSAT-NA and AMSAT-DL announce a potential Phase-3E launch opportunity. 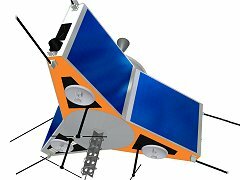 Virginia Tech has approached the US Government to fly the Phase 3-E space frame into High Earth Orbit (HEO) in order to support scientific payloads as well as serve as an amateur radio satellite. During the AMSAT-DL Annual Meeting on 4 JUL 15, the AMSAT-DL membership approved the concept, agreeing to allow the Phase 3-E space frame that is currently stored in Germany to be shipped to Virginia Tech in the USA for further construction, testing and preparation for eventual launch to HEO should the US Government formally agree to fund such a mission. Should the project move forward, AMSAT-NA will apply for frequency coordination from the IARU Satellite Advisor and satellite licensing from the FCC as the satellite’s initial operator. Stay tuned to the AMSAT-DL Journal, the AMSAT-NA Journal, and the AMSAT-NA News Service for further developments and details as they become known. 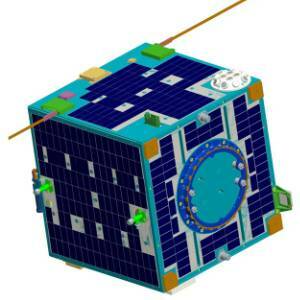 deOrbitSail is successfully launched and first telemetry data is received. I used the WebSDR in Johannesburg South Africa to receive the first signals and in the second pass over South Africa I was able to decode the 1200bps BPSK signals. Then at 21:10 UTC deOrbitSail was also in range of my own ground station and I could decode over 39 frames. 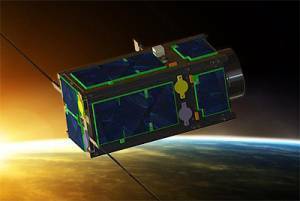 The soon to be launched six CAMSAT satellites CAS-3A to F have now been named as XW-2 (Hope – 2) amateur satellite system, and correspond to the XW-2A to F.
All the satellites have completed environmental testing, currently being burn-in tests, everything is underway. The satellites will be moved to the launch center in mid-August and launch date has been postponed to early September.